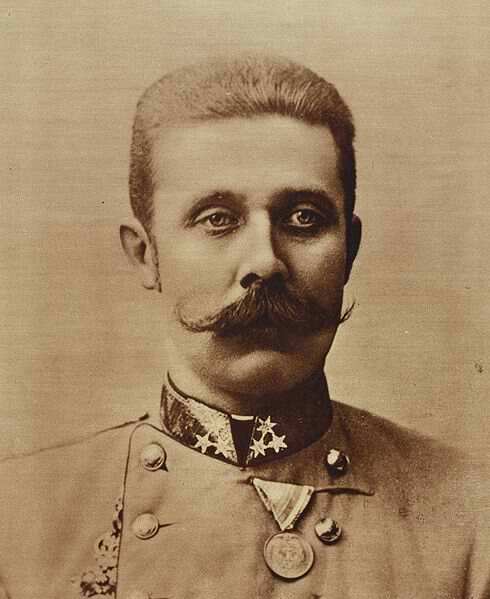 On 28 June 1914, Archduke Franz Ferdinand of Austria, heir presumptive to the Austro-Hungarian throne, and his wife, Sophie, Duchess of Hohenberg, were shot dead in Sarajevo, by Gavrilo Princip, one of a group of six Bosnian Serb assassins coordinated by Danilo Ilić. The political objective of the assassination was to break off Austria-Hungary's south-Slav provinces so they could be combined into a Greater Serbia or a Yugoslavia. The assassins' motives were consistent with the movement that later became known as Young Bosnia. Serbian military officers stood behind the attack. At the top of these Serbian military conspirators was Chief of Serbian Military Intelligence Dragutin Dimitrijević, his righthand man Major Vojislav Tankosić, and Masterspy Rade Malobabić. Major Tankosić armed (with bombs and pistols) and trained the assassins, and the assassins were given access to the same clandestine tunnel of safe-houses and agents that Rade Malobabić used for the infiltration of weapons and operatives into Austria-Hungary. The assassins, the key members of the clandestine tunnel, and the key Serbian military conspirators who were still alive were arrested, tried, convicted and punished. Those who were arrested in Bosnia were tried in Sarajevo in October 1914. The other conspirators were arrested and tried before a Serbian kangaroo court on the French-controlled Salonika Front in 1916–1917 on unrelated false charges; Serbia executed three of the top military conspirators. Much of what is known about the assassinations comes from these two trials and related records. Assignment of responsibility for the bombing and murders of 28 June is highly controversial because the attack led to the outbreak of World War I one month later.